Oh, those indie kids, always dying beautifully of cancer or being the chosen one. But we can't all be indie kids, it would be too exhausting. Luckily, this book is all about non-indie kids, ordinary kids, very much on the edge of the supernatural and with no interest in that dangerous world. 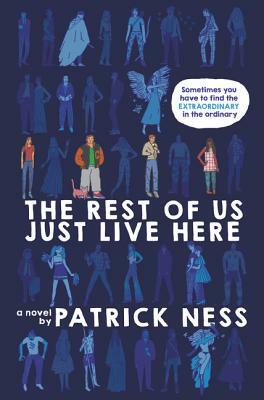 The Rest of Us Just Live Here is very clever, slightly funny, but mostly just very familiar in it's realism in the face of the unbelievable.